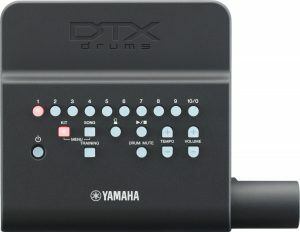 We decided to review the Yamaha DTX400 from a musician’s standpoint, not from a technical standpoint out of sheer frustrations. The problem we found when we were looking at electronic drums is that we found a lot of “fluff” and not a lot of fact. We know how frustrating that can be. 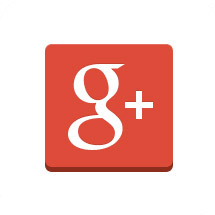 We just wanted to be able to find honest reviews that outlined the facts and gave honest impressions. We decided that to really get a feel for the DTX400 we needed to take a look on our own. To not only to get a good feel for the set but also to be able to report honestly back to you. 9 Wait! 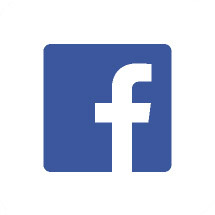 Let Us Tell You the Best Part! 10 Is it For the Novice? We felt that like us a lot of people would have very high expectations from Yamaha so we wanted to make sure that we really put the DTX400 to the test. 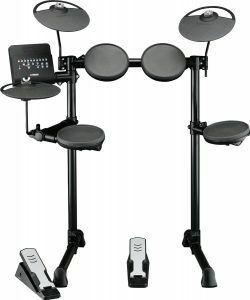 There is a lot of buzz about this set, it is being touted as THE beginners electronic drum kit! Of course you hear that about a lot of sets but we felt that Yamaha had always delivered before and there was no reason to think that they would not deliver on this model. Yamaha does not pay us or hand off free instruments to us, it would be nice if they did (can you hear us Yamaha). Some reviewers do get paid in the form of free equipment but it sort of skews the review toward the positive because the company gave them an instrument. We wanted to be sure that we could give you a genuine look at this set to determine if this is the set for you! 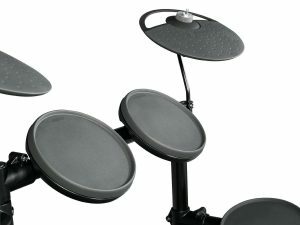 The fact of the matter is each one of the above is an important component in the overall performance of an electronic drum set. If it is a challenge to use than you are less likely going to enjoy the set, if it does not look great then you may feel uncomfortable using it on stage. The sound has to be there and of course the system (brain) has to easily interface and give you the features that you want. We are going to start our review from the very start-shopping and unpacking. You can find the DTX 400 easily because it is pretty available so shopping was not an issue for us. Once it arrived we were a little taken back by the size-it is smaller than its predecessor but we tried not to form any judgements about capabilities based on the size difference. It was not just the size that was different from earlier entry level models but there was other changes as well. 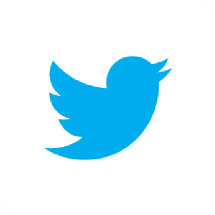 Like a metal control knob and the headphone jack had been moved. Getting it all out of the box was pretty easy. The “manual” was a bit short but it had enough information to help us get it all together. The kit is easy to assemble but we had a couple of issues when we hooked up the brain. We had to tweak it a bit to get the toms to work right, initially we had to really bang on the toms to get any sound. 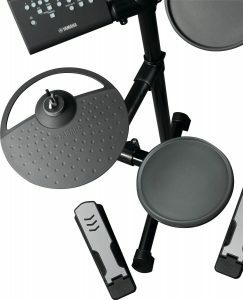 This might be a bit of an issue for a beginner without any support from someone that has used electronic drums before. Any novice that is having issues can easily turn to the Yamaha website for tutorials that can really help to provide some clarity on how to set things up to make life easier. Overall as far as constructing the set, anyone can do it, even inexperienced musicians would not have a problem. Okay so up to this point we spent most of our time tinkering around with the kit itself, putting it together and making the necessary adjustments to the system to get a sound but once we did all we can say is it was IMPRESSIVE. We also found that you cannot tune the pads pitch any more in this model and we are still kind of up in the air as to whether it even matters or not because out of the box, once we made some adjustments and felt our way around, the sound is stunning. We did notice that the gain has to be adjusted to get the right volume or you can actually get too loud with this set but that is really personal preference. For some musicians they do not feel like they are making any progress unless they are really beating on the pads for other they do not want to waste the energy and like to get the volume with a tap. If we were reviewing this drum set based on sound only we would have to give it a 100%. We expected great sound from Yamaha and we were not disappointed. They have added quite a few new kits but sadly took some out but the new kits make up for what you lose. You can actually play around with this set and make a few adjustments to create the “old kits” that Yamaha has taken away. The set offers 169 different kits that you can use. If you are used to banging on acoustic drums you are going to love the ability to mess with the sensitivity on the triggers of the pads. You have complete control over the gain which really sets this set up to work well for anyone at any skill level. When you are playing on these pads the amount of control that you have is perfect. Look the fact is that they are not acoustic drums and it may take a little while to get used to playing any type of electronic drums but this set can make the transition easier from acoustic to electric. Every set in this series comes with the durable RS Rack. It is a nice rack that is adjustable so regardless of what your reach is you are going to be comfortable playing on this rack. The four legs (vertical) give this rack a ton of stability. We have tried out other sets that frankly gave us the feeling that with vigorous play you may lose the entire setup because the rack was so flimsy. The rack offers a great deal of flexibility and it is a really solid option. Wait! Let Us Tell You the Best Part! We found that this drum set was smaller than its predecessor but we found that you get a great sound from a compact, easy to transport set. We loved that it was so much more portable than other models and you did not have to sacrifice any sound! If you are on the move a lot with your band or even like to be able to set up impromptu sessions this drum set maybe the set you need. It is great for practice in small spaces and can go just about anywhere. Is it For the Novice? Its billed as the entry level “must have setup” so we had to step back a bit to take a closer look to see if we did not have the experience if we would find this to be a good set. Overwhelming the answer is-yes. It is the kit that we would recommend for a novice and for anyone with experience. It brings the value that you want in a set, the sound is there and it is super easy to navigate once you have some play time. 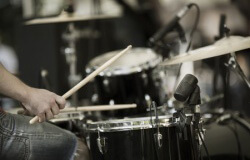 Like every drum set, electronic or acoustic you have to allow yourself time to get used to the particular nuances of the set before you can expect to master it. We asked around and spoke to other musicians that were less experienced to get some feedback just to be sure that our love of Yamaha was not forcing our opinion and the verdict is that most musicians love it. 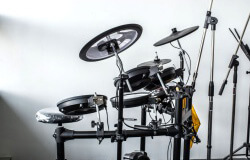 As a final word of advice-buy them now – if you are in the market for an electronic drum set. Yamaha moves through their product lines pretty quick and you do not want to miss out on these, they are that good. They meet every requirement, they are affordable, durable, usable and sound great. What else can you ask for?